At JetBrains we not only bring you new powerful features that make your life better, but also take care to polish the good old stuff to perfection. Let’s take a look at the Move refactoring for ActionScript classes, Flex components and all other types of top-level declarations (namespaces, functions, variables and constants), that has just got a little smarter. By the way, this refactoring also works for inner declarations (also known as helpers or file-local declarations), defined in ActionScript file out of the package statement. Generally speaking there’s nothing special about Move refactoring, but in complex multi-module projects choosing a right folder may turn out harder than it seems to be. Well, not anymore it isn’t, and here’s the proof. Here we specify the target package (thinking in terms of packages instead of directories is a lot more natural, isn’t it?). 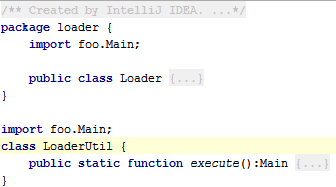 As we type, IntelliJ IDEA assists us with completion and highlights packages that don’t exist with red, which means they will be created on-the-fly, which is good, because we can start coding right away without preparing package structure in advance. And that’s it! No need to bother with directories anymore! All the usages of moved element grouped by type and location, plus we can easily exclude usages we don’t want modified. 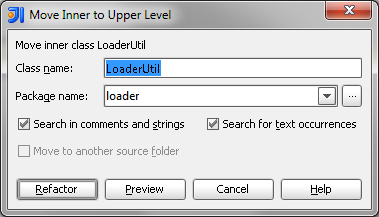 Now accept the name and package of a new top-level class, and IntelliJ IDEA will take care about the rest. 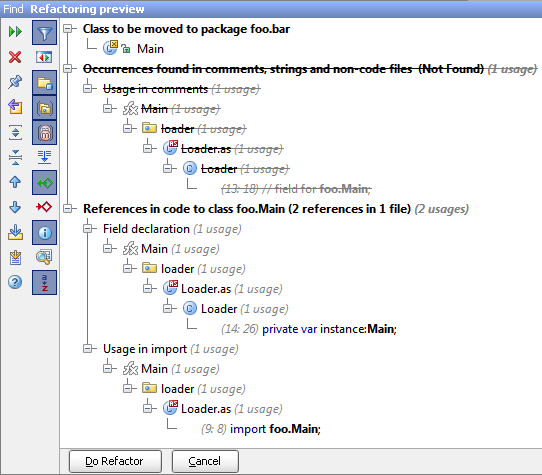 We wish you safe refactoring, and keep watching this blog for the latest news! 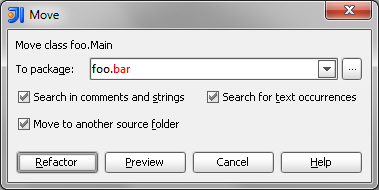 This entry was posted in New Features and tagged ActionScript, Flex, Nika, Refactoring. Bookmark the permalink.